This is the last known picture of the Great Horned Owl pair before the male had a tragic accident. 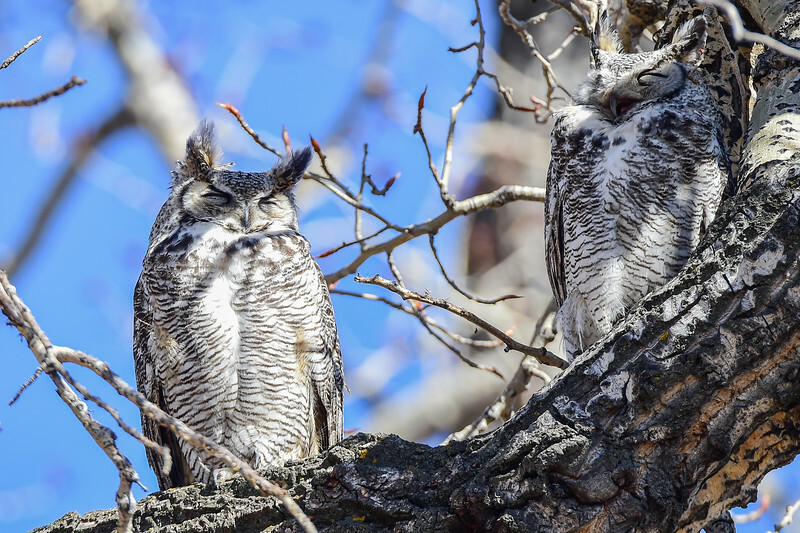 The male is the top right owl. So sorry to hear about the male GG. So glad you were there to get him out of the tree. What a beautiful bird. What happened? Keep us informed. Thanks for sharing.